Gordon Hall is an artist based in New York. Hall has exhibited and performed at SculptureCenter, The Renaissance Society, Brooklyn Museum, Museum of Contemporary Art Chicago, Whitney Museum of American Art, Movement Research, EMPAC, Art in General, Temple Contemporary, Night Club Chicago, Hessel Museum at Bard College, White Columns, Wysing Arts Centre, Abrons Arts Center, and Socrates Sculpture Park, among others. Hall’s first institutional solo show took place at the MIT List Center for Visual Arts in the spring of 2018. 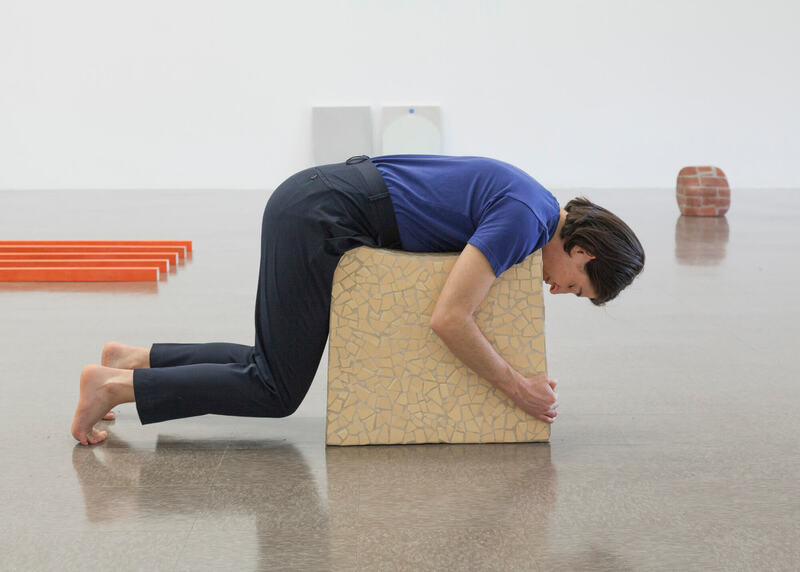 Gordon Hall has launched lecture and performance programs at MoMA PS1, Recess, Interstate Projects, The Shandaken Project at Storm King Art Center, and at the Whitney Museum of American Art, producing a series of lectures and seminars in conjunction with the 2014 Whitney Biennial. Hall’s writings and interviews have been featured in a variety of publications including Artforum, V Magazine, Randy, Bomb, Title Magazine, Walker Art Center’s Artist Op-Ed Series, What About Power? Inquiries Into Contemporary Sculpture (published by SculptureCenter, 2015), Documents of Contemporary Art: Queer (published by Whitechapel and MIT Press, 2016), and Theorizing Visual Studies (Routledge, 2012). Hall was awarded a Graham Foundation Production and Presentation Grant, the LMCC Process Space Residency, a Triangle Arts Foundation Residency, the LMCC Workspace Residency, and attended the Skowhegan School of Painting and Sculpture, ACRE, and the Fire Island Artist Residency. Hall holds an MFA and an MA in Visual and Critical Studies from the School of the Art Institute of Chicago. For a PDF of the presentation, please click here.